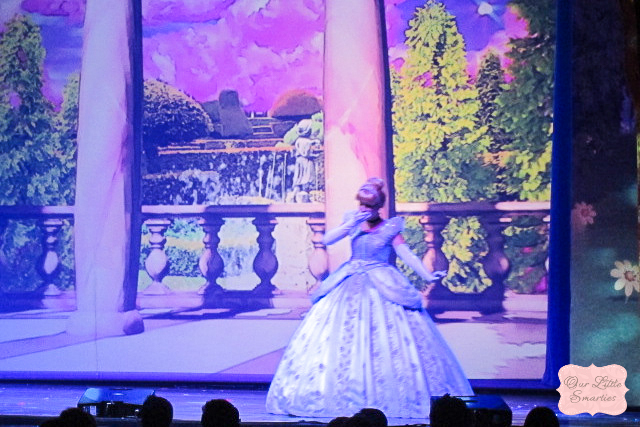 Last weekend, we were given tickets to attend the Disney Live! Mickey’s Rockin’ Road Show at Marina Bay Sands Grand Theater. I was really looking forward to it because 1) both Edison and I are huge Disney fans, 2) I haven’t been to the Marina Bay Sands Grand Theater before, and (3) I was pretty sure that Edison is going to LOVE it. Before I elaborate any further, I just have one word to describe the show – AWESOME! We were seated at Row R in Category A, where the distance to the stage is just perfect. Not too near, and not too far. 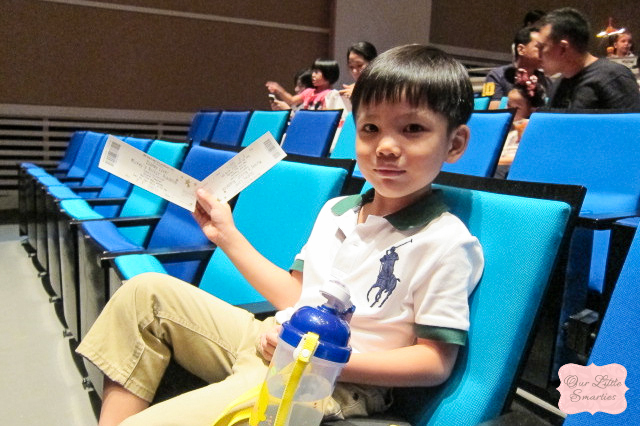 Seated on a booster seat, Edison also enjoys a full unblocked view of the entire stage. The running time of the show is 90 minutes, and it is divided into two parts with a 15-minute break in-between. 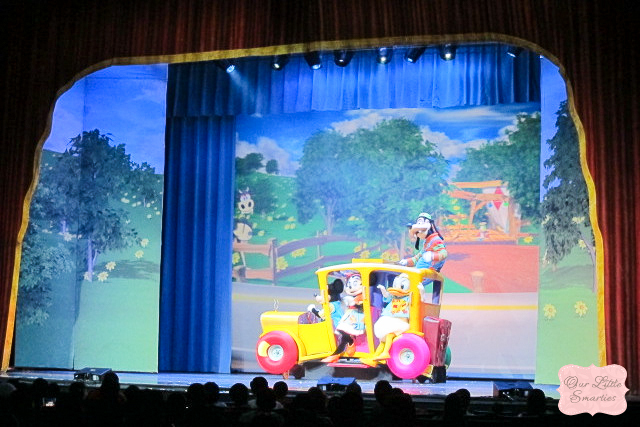 In the first part of the show, Mickey Mouse went on a fun-filled road trip and hilarious talent search with his friends Minnie, Donald and Goofy. Along the way, they met with the beautiful Cinderella, the ever-lovable Tigger, and the team of Woody, Jessie and Buzz Lightyear from Disney/Pixar’s Toy Story! 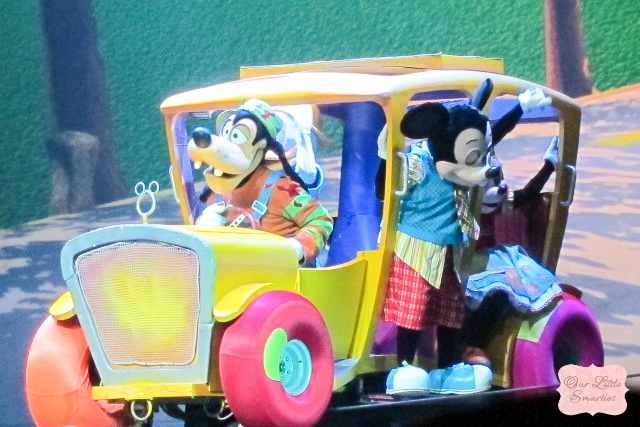 With Mickey’s fantastical bus, they soared over mountains and plunged underwater to complete their search for talents. Through a huge scenic projection panel, audience can enjoy a truly visual experience as the scenic backdrop takes them through country hillsides, a cactus-filled desert, a royal village and other picturesque locales. 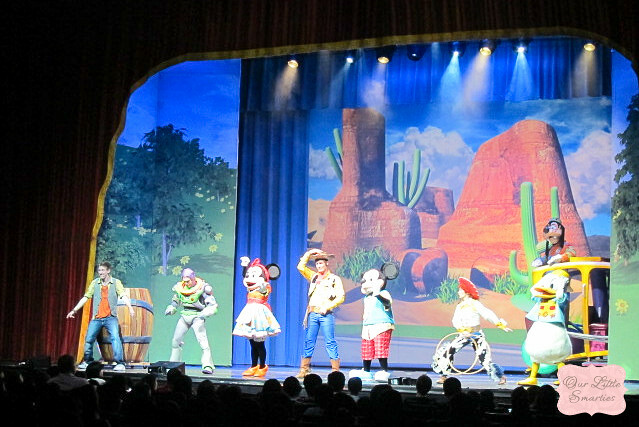 In the second part of the show, the Disney characters display a variety of talents as they sing and dance to a mix of hip Disney tunes. The second part is more entertaining because there are more singing rather than just running around the stage in the first part. Overall, we enjoyed the show so much and I think that it was well put together. 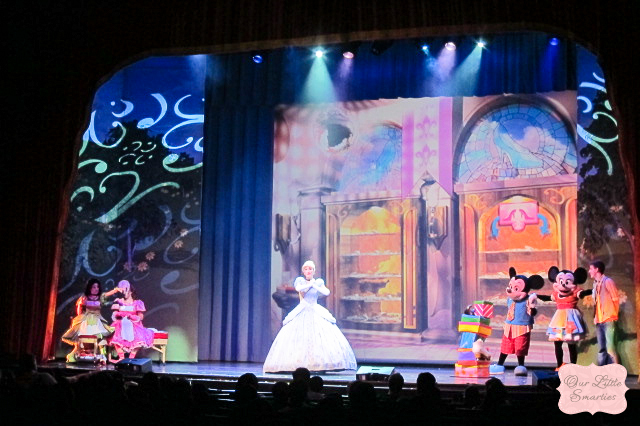 The show is perfect in length for young children with short attention span, yet enjoyable for older children as well. The Grand Theater is beautiful and spacious. 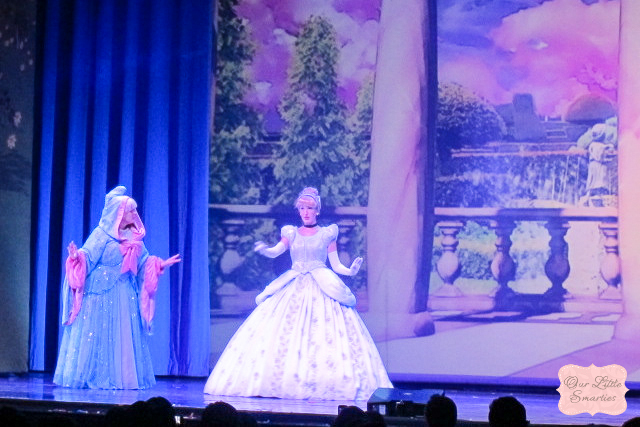 My favourite moment is seeing Cinderella on-stage. 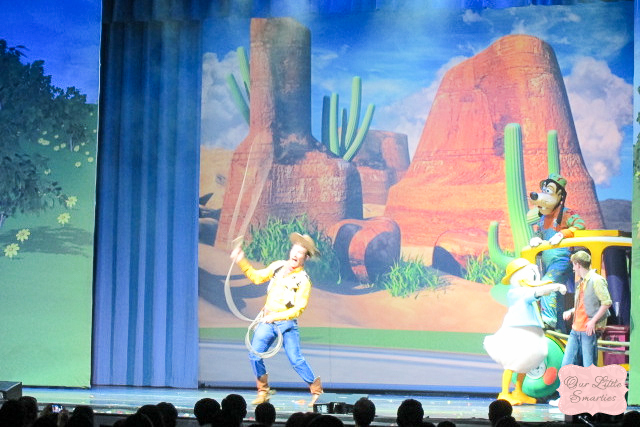 Edison keeps telling me that he likes Woody and team for their wonderful hula-hoop, lasso and ring juggling. And of course, he likes the confetti at the end of the show too! Hope your dream will come true very soon. 🙂 Your kids will definitely enjoy Disneyland. You took such lovely photos of the performance 🙂 Glad you all had such a good time!